Last week we kicked off summer with Ice Pop week and I shared 5 different ice pop recipes. There was also a giveaway where you were asked what flavour ice pop you would like to make. There were so many fantastic suggestions, many of which I hope to try over the next few months, but one from Wendy stood out to me. It was for a Bananas Foster popsicle. My husband makes a pretty good Bananas Foster, served over ice cream, so I knew that Bananas Foster Popsicles would be a hit at our house. I was right, the kids loved them! 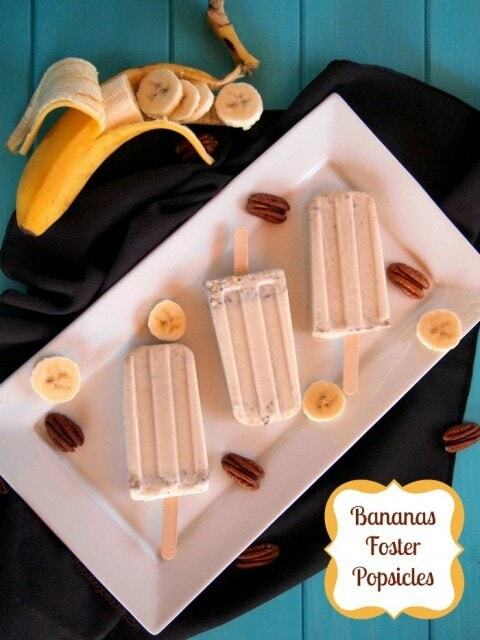 The brown sugary sauteed bananas and the pecans are a perfect addition to the creamy ice pops. Freeze for at least 4 hours, or overnight. To store frozen pops, remove from mold, wrap individually in plastic wrap, and place in a resealable plastic bag. Over medium heat, melt the butter and add the brown sugar and sliced banana. Saute, stirring frequently, until the syrup is not sugary, and the bananas are tender. Add the pecans and brandy, and cook for another 1 to 2 minutes. Remove from heat and allow to cool to room temperature. Measure the milk and cream into a blender. Add the banana mixture, and pulse once or twice, just to fully incorporate. Pour into ice pop molds or paper cups. Insert sticks and freeze for at least 4 hours, or overnight. Run molds briefly under warm water to release pops. Now without further ado, the winner of the ice pop prize pack is… Cheryl Peskin Walters! Congratulations! I’ve sent you an email, be sure to check your inbox and spam folders. Thanks to all that entered! Woohoo! 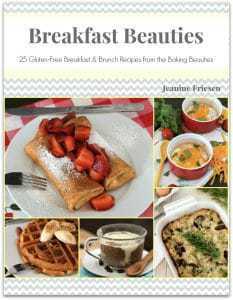 Thank you so much Jeanine for the recipe. I will be trying it out asap with the addition of a little rum ;). Happy Canada Day to you and yours from me in Belleville, Ontario.